5 Ways to Barbecue and Picnic for Less! It's time to fire up the grills and pull out the picnic basket! It's finally June and after months stuck inside, it's time to get back to nature! I once heard someone say that food just tastes better outside, and I have to fully agree. 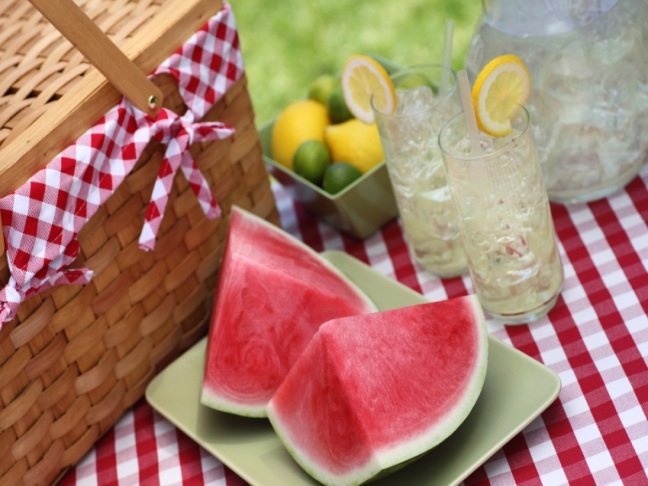 Backyard barbeques and picnics at the park may seem like a frugal way to entertain your friends and family, but they can get really pricey really fast if you aren't careful. Opt for burgers and hot dogs over steaks and ribs. Hot dogs are on sale pretty much all the time! Grab a coupon and make them super cheap. Stock up on ground beef or turkey when it's on sale for burgers. You can almost always find generic rolls on sale for $1. Stock up whenever you see good prices. Year round grab picnic items for less and hide them away so they don't get snacked on. Potato chips are really cheap anytime there's a "picnic" type holiday so buy several bags. Don't have a grill? No problem! I bet your local park does. Plan your picnic or bbq for the local park. Get there early to get a prime spot! If you plan on eating outdoors a lot, go ahead and buy a cheap set of dishes and cutlery from the plastic section of walmart or your local dollar store. It means there's more to lug back and forth, but paper products can really add up. Make it a potluck. You provide the meat part of the meal and have friends and family bring the salad and sides. Everyone will enjoy contributing and it will cut your costs dramatically. It's totally possible to entertain outdoors for less. Remember that it's about the time spent with loved ones, not the money spent!